Press Release – On July 2nd, 2018, detectives from the Kolin Sub-station responded to a theft at a business in the Kolin community in which an estimated $30,000.00 in lawn equipment was stolen on the night of July 1st , 2018. Through their initial investigation, detectives were able to develop a suspect identified as Timothy Scott Rushing, 60 of Pineville. Detectives also identified a suspect vehicle used in the thefts. On July 3rd, Detectives were able to locate the suspect vehicle at Rushing’s address on Sixth Street off of Airbase Road in Alexandria. Detectives conducted a search warrant at the property and items that were reported stolen were located. With this discovery, an arrest warrant was obtained for Rushing’s arrest and later that day, Rushing was located and taken into custody without incident. Detectives were able to recover all of the stolen lawn equipment and utility trailer from a residence in the Rapides Station Community and at another address in Alexandria. 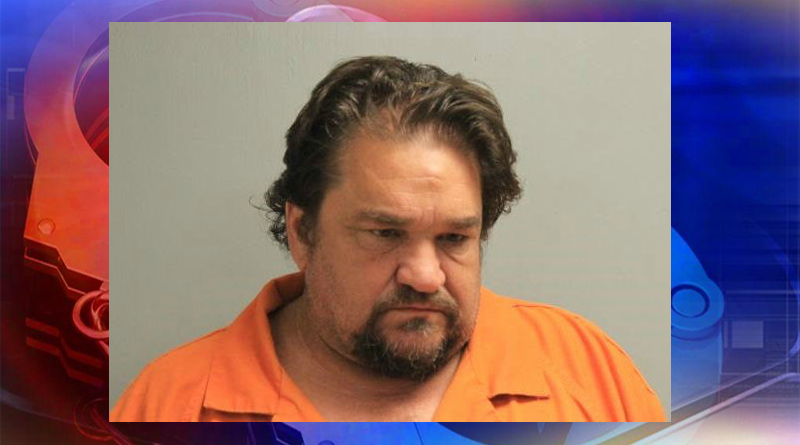 Rushing was booked into the Rapides Parish Detention Center for Criminal Trespass, Criminal Damage, Theft over $25,000.00, , Illegal Possession of Stolen Things, Criminal Conspiracy and Obstruction of Justice. Rushing remains in jail at the time of this release in lieu of a $13,000.00 bond.